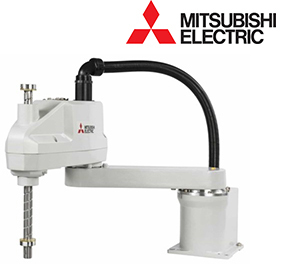 You can now have the infinite flexibility and speed of a SCARA robot without the high cost. The RH-CH line of compact industrial SCARA robots are lightweight, full-function robots ready to meet the needs of today’s manufacturers at a price for even the most budget-conscious of customers. With a range of payloads, reaches, and protection ratings to choose from, these robots are well-suited for Pick & Place, Assembly, Material Handling, and Packaging applications. Equipped with the same powerful CR751-D controller found on other F-Series robots, and sporting a number of valuable options as standard equipment, the RH-CH line of robots provide users with excellent value and performance.